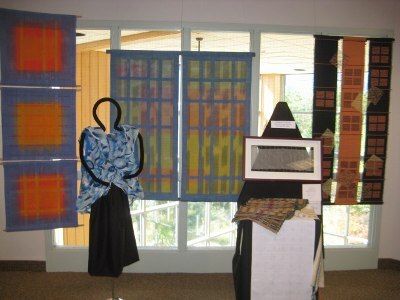 Here’s a cool event that our guests told us about — From now through November 28, 2010, the Western North Carolina Fibers/Handweavers Guild is sponsoring an exhibit featuring fiber crafts at one of our favorite places, the North Carolina Arboretum. On weekends, they’ll also be doing periodic demonstrations of fiber artistry such as spinning and weaving. See a list of exhibitors, categories, the demonstration schedule and more about the Blue Ridge Fiber Show: Inspirations from Nature at www.wncfhg.org/brfs10/brfs.html. This entry was posted in Uncategorized and tagged art, festivals and special events by Inn on Mill Creek. Bookmark the permalink.